Celebrate the long tradition of Girlguiding in Lancashire North West with one of our fantastic County Badges. These special Lancashire North West designs are available to order from our County Badge Secretary. We have two designs to choose from, both priced at just £1.60 each. All money from the sales of these badges goes towards County funds. Our exclusive County Standard is a quality, embroidered cloth badge emblazoned with symbols of Lancashire North West, and the motto Persevere. This badge would look fantastic on any camp blanket! 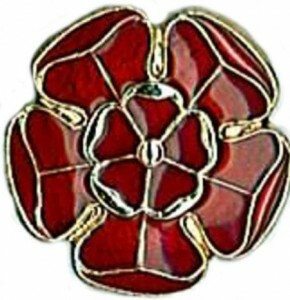 This beautiful metal and enamel badge features the classic Red Rose of Lancashire. This badge is approximately 2cm in diameter. A perfect fit on a badge tab or as a highlight in your pin badge collection. 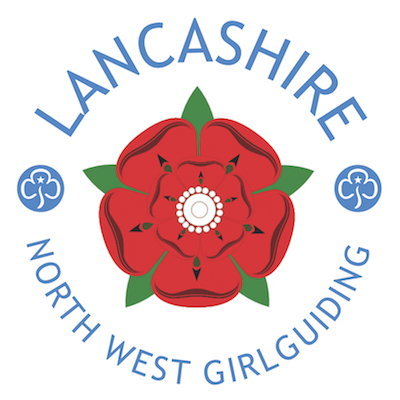 To order badges, please get in touch with our County Badge Secretary, Helen – just email badges@girlguidinglancsnw.org. These badges are always popular, so make sure you have your name on the list!